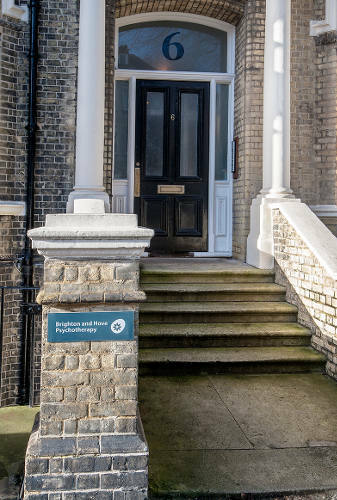 The clinical rooms at Brighton and Hove Psychotherapy are located in a beautiful period building on The Drive, Hove, BN3, close the corner of Church road. 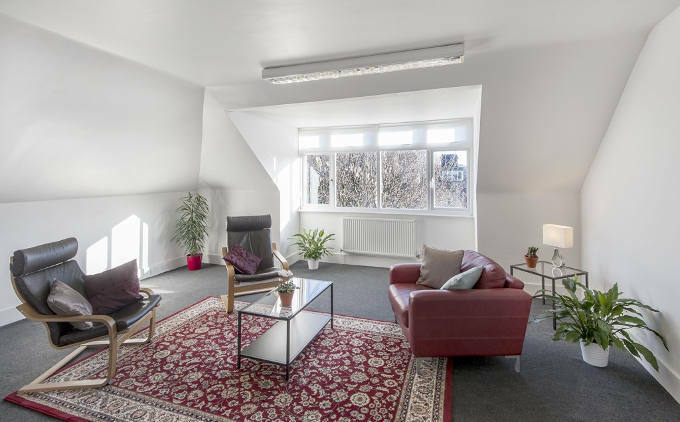 The building is comprised predominantly of clinical space and is ideally located for clients from Brighton, Hove and further afield with on-street parking and good public transport connections. Our consulting rooms comprise the entire third floor of ‘6 The Drive’ and consist of three clinical rooms of different sizes (see photos below). 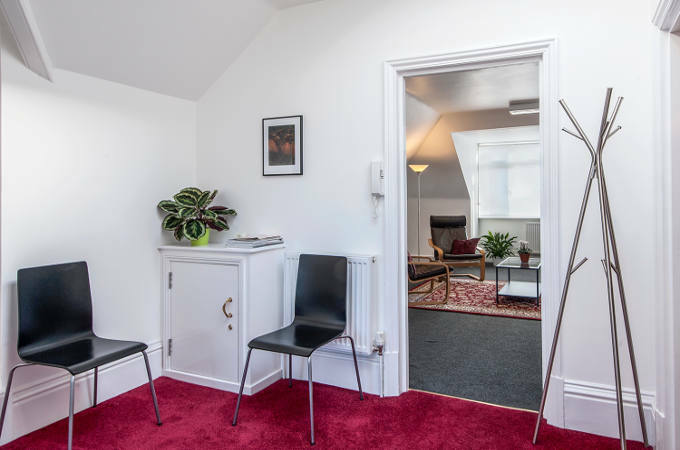 Each of our rooms can be booked for individual work, two are suitable for couple therapy, with our large room being suitable all clinical work including larger therapy groups and workshops. All of our rooms have been furnished to a high standard. Our floor includes exclusive access to a kitchen area for sole use by clinicians, an intercom system and a small client waiting area. We also offer free wi-fi. Enquiries outside of these hours will be dealt with the next working day. If you already rent a room from us and would like to use our automated system please use our secure booking page. 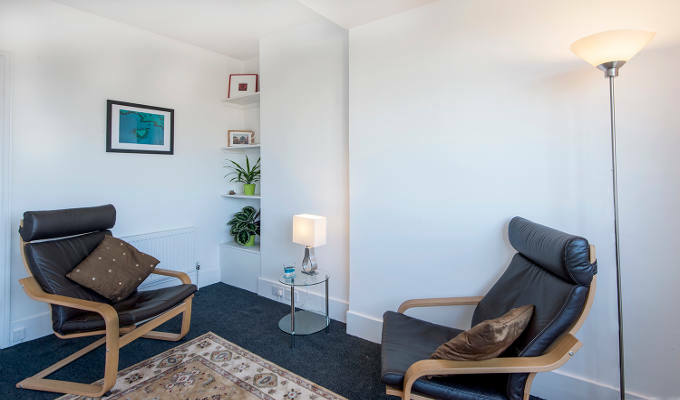 We are a psychotherapy practice and thus working in a quiet environment is of paramount importance to us. 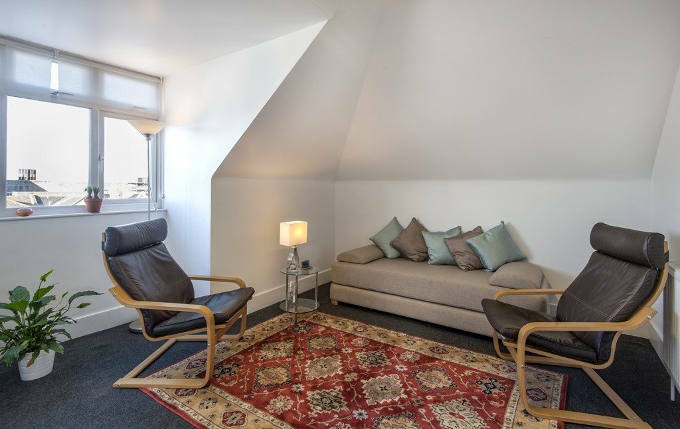 We therefore only rent rooms to clinicians working with talking therapies such as counsellors, psychotherapists, psychoanalysts, psychologists and consultants. Our minimum rental is of 5 hours per week. We are currently looking for fully qualified and experienced Psychotherapists (UKCP Reg. or equivalent) and Clinical Psychologists who wish to become a part of, and contribute to developing our thriving practice. We are looking for practitioners who can work with a range of client groups, and also those trained in working with couples and families. We have a large group room suitable for workshops and training courses of up to 12 participants. We rent the group room separately or the venue as a whole, ideal for those who use break out rooms. Room 1 is bright , quiet and comfortable, ideal for individual therapy. 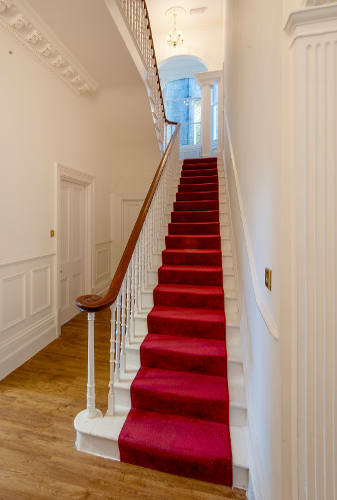 Room 2 is suitable for individual work, couples work, or small supervision groups. 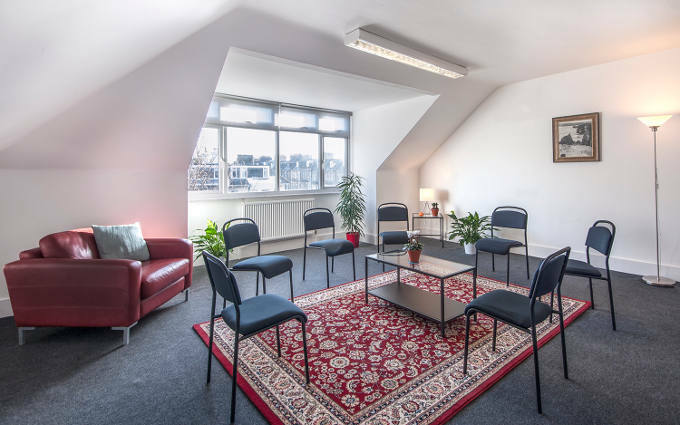 The Group Room is light and spacious, suitable for individuals, couples or family therapy, groups and workshops of up to 12 participants. We have a small and stylish waiting room with access to a kitchen for practitioners’ use. 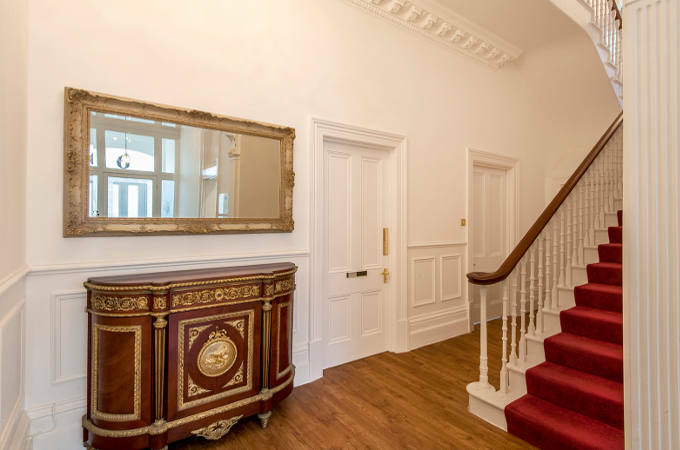 Brighton and Hove Psychotherapy comprises the whole top floor of a beautiful period building, which has been recently renovated to a very high standard.